Contain the active ingredient : Allopurinol, which is a type of medicine called a xanthine-oxidase i.. Contains the active ingredient : Betamethasone Valerate 0.1 g, Salicylic Acid 3 g Betamet.. Contain the active ingredient : Betamethasone Valerate, which is a type of medicine called a topical.. Contains the active ingredients: Betamethasone valerate 0.1%, clioquinol 3%Betamethasone valera.. Contains the active ingredient : Clotrimazole 1%Clotrimazole kills fungi and yeasts by interfe.. Contains the active ingredient : Clotrimazole 1%, Betamethasone Dipropionate 0.1%Clotrimazole .. Contains the active ingredient : Gentamicin Sulphate (equiv to Gentamicin base) 0.1%Gentamicin.. 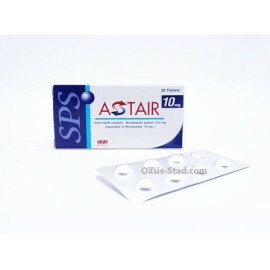 Contain the active ingredient : Finasteride, which is a type of medicine known as a 5-alpha reductas.. Contains the active ingredient : Co-dergocrine mesylate: Dihydroergocryptine mesylate, dihydroe.. Contain the active ingredient : Minoxidil, which is a medicine used for the treatment of male patter..